I love my mom’s apple pie. Well, let’s face it. I love apple pie period! However, nothing is ever more special than when it is made by mom’s hands. 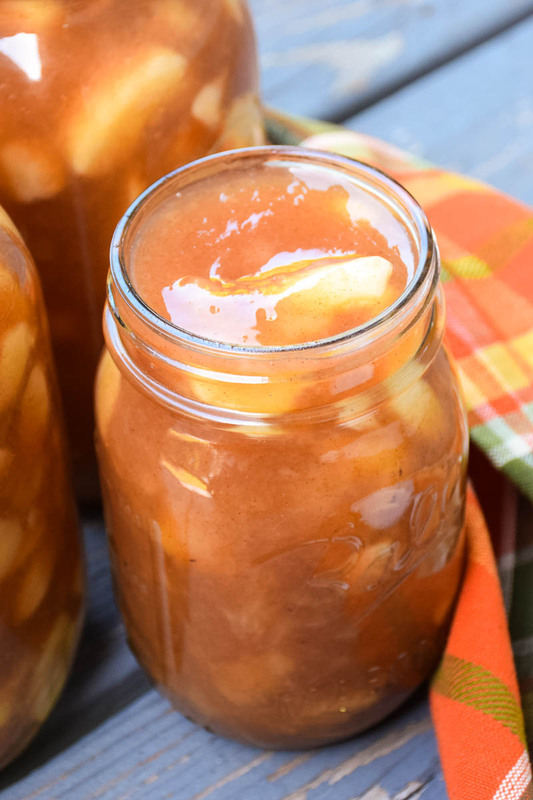 Today I am sharing with you my mom’s recipe for Mom’s Apple Pie Filling that she makes a big batch of and cans for future use. 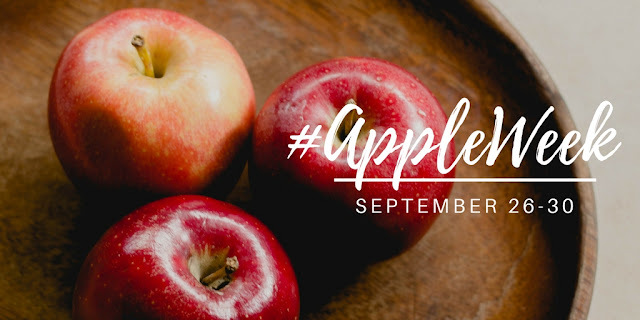 I love it so much, that I am sharing it with you for #AppleWeek this year! This is a newer recipe from my mom that she shared with me. 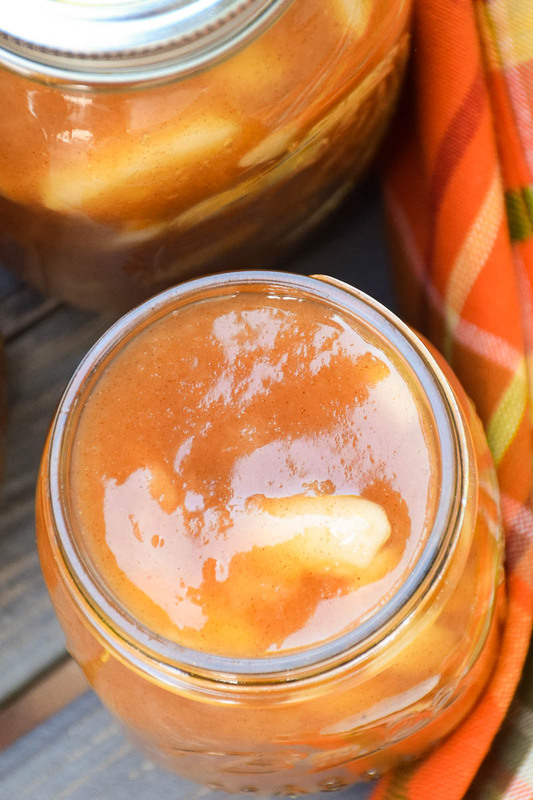 I love to make and have Apple Pie in a Jar to have on hand throughout the year. Mom’s Apple Pie Filling also works great in other recipes. I use it to make Apple Fritters, to top pancakes, and even over ice cream! However, I still think our favorite way to use it is in the traditional apple pie! When I made this pie it was simple as could be. I rolled out a pre-made pie crust, poured in the filling, made a crumble topping and baked at 350 until done! If you have apples this fall that you are looking to do something different with, well this is a great idea! How would you use this filling? 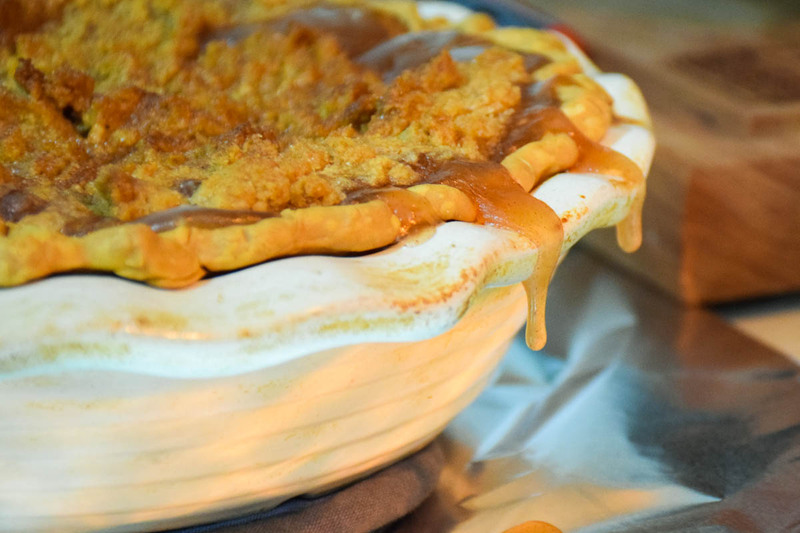 Be sure to check out the rest of this week’s awesome apple recipes! Mix all ingredients except the apples and cook until thickened. Add 3 Tablespoons lemon juice. 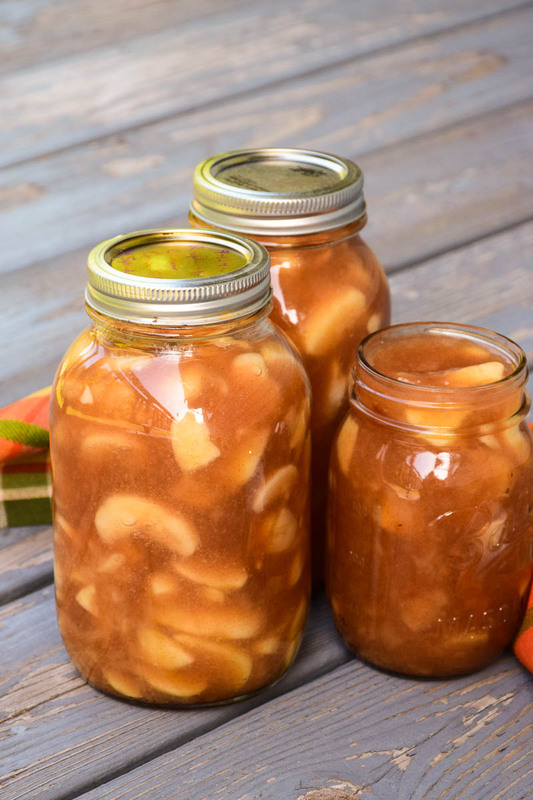 Fill hot sterile jars with apple slices. Pour hot mixture into jars until 1″ from the top. Cover with sealing lid. Process in a hot water bath for 20 minutes. « Hot Fireball Apple Cider – a warm you up drink! Mmmm! I will take a slice with some ice cream! Looks great! I can't *wait* to make the first apple pie of the season! Nothing says home like a slice of apple pie Shelby. Love this idea! So much better than fruit from a can at the store! The pie looks fabulous! Your pie looks wonderful! I love that kind of topping on my apple pie. Looks perfect! Looks yummy Shelby and a handy way to keep apple filling on hand and ready to use as needed. So tickled I won the magazine subscription… thanks! Love the idea of apple pie in a jar! Looks delicious! Oh my Shelby, looks delicious. So comfort food. Great choice. What a great idea! This would make a good gift too. I am really looking forward to apples this fall (I'm adding this to my ever-growing list of things to do with apples… not sure there will be enough apples for everything I want to do). Looks delicious – question though – how much filling does this make? I'm assuming it should be a pint of filling per pie so I should do this in pint size jars? There is nothing better than apple pie!! Ohh apple pie a heavenly sweetness!! I can't wait for fresh apples…I love baking with them and smelling the wonderful aromas! Of course, the eating is good too! I'm drooling over your pie right now…it's sooo yummy looking. In a jar? That's interesting! Ooooh! I really want to do this! What a great gift item!! Thanks for sharing! ps. 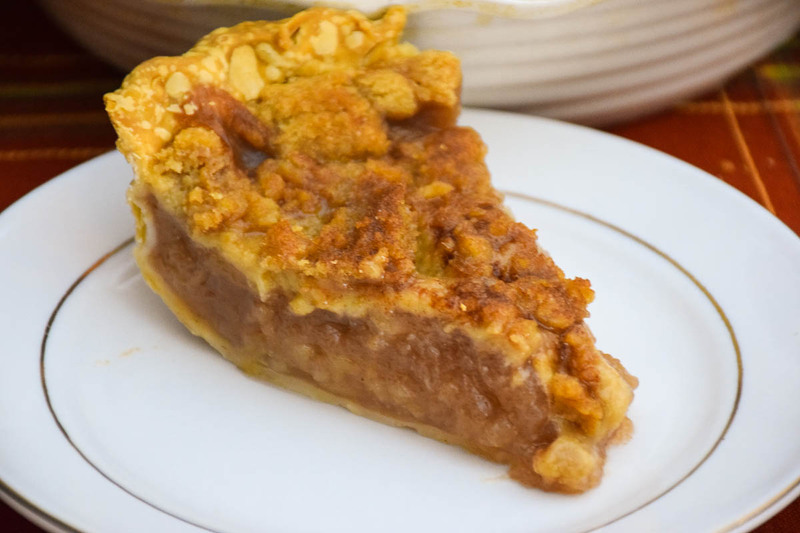 pie sounds soooo delish right now! Thanks! I'm going to try this this weekend! Love apple pie. This looks so good! I will have to try this recipe. Nothing says fall like Apple Pie. Looks fabulous. I need to challenge myself and make more pies. I love your new fall header. Nothing like a good Apple pie recipe from your mom! Wow! What a BEAUTIFUL pie. It looks almost to good to eat… almost ;). I can't even put into words just how yummy this looks! I L-0-V-E apple pie. Especially with the crumbles on top! How do you take such lucious photos all the time…just delicous. Okay I seriously love this! OMG! You know, Shelby, I am in deep,true love for this pie. Oh my goodness. Apple is probably my favorite favorite, and this one looks exquisite! Very cool. I love crumble top apple pies. YAY!!! Thank you HoneyB for having the Vegetarian Times Giveaway! I am so excited to receive my subscription!! Thank you! Thank you! And… a big thanks to Sue for drawing my name WOO HOO! This is a perfect recipe to include in a gift basket for a Christmas gift, perhaps with a pretty pie pan attached. Thanks for the recipe. Usually I just make and can apple sauce with our apples. I’m not sure why I’ve never made apple pie filling! I’m going to have to try your recipe. Apple Week is so much fun!